This Oscar-winning thriller about the Watergate burglary is one of the best movies ever made about American politics. 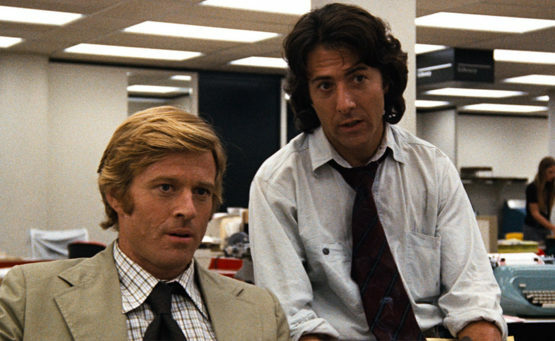 Robert Redford and Dustin Hoffman star as the two Washington Post reporters (Bob Woodward and Carl Bernstein) whose stubborn digging ultimately brings down President Nixon. It’s a textbook procedural in how journalists break a story collecting small pieces of the puzzle until the big picture starts to emerge. Full of gripping suspense (even though the outcome is never in doubt) and still topical 40 years later.